Really, we did! 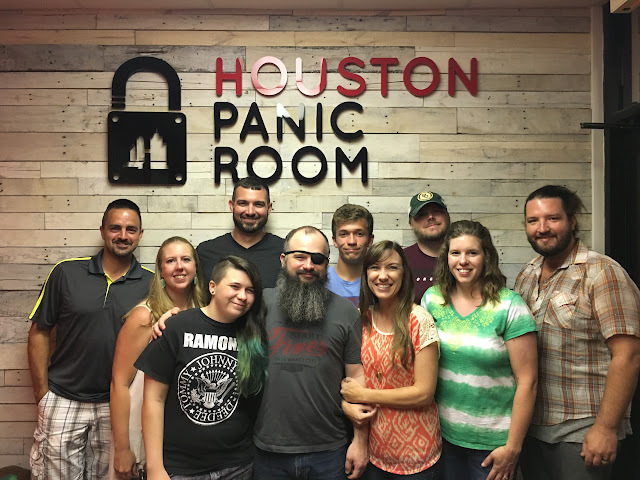 We played an escape game at the Houston Panic Room! We didn't escape in time, but it was super fun!! Afterward, Brian said that the night was still young, so most everyone came to our house for awhile. Elly had made mini cheesecakes a couple of nights earlier, so I didn't even have to throw a dessert together!